Reliability is a vital component of any appliance -- homeowners don't want freezers that are always broken or only work part of the time. The Kenmore line of appliances, sold at Sears stores nationwide, ranks among the highest brands for reliability and customer satisfaction, and the company's frostless freezers include a number of options that help to enhance that image. Kenmore frostless freezers feature a high temperature alarm to warn a homeowner of impending danger, allowing him to examine the freezer for issues before the temperature becomes a problem. Examine the status of the freezer alarm. If the red light on the alarm is blinking, but the buzzer is not sounding, an extended power outage has affected the temperature in the freezer. Remove all food from the freezer and store it in a frozen food locker or freezer until the Kenmore frostless freezer returns to a normal temperature and the alarm light goes dark. 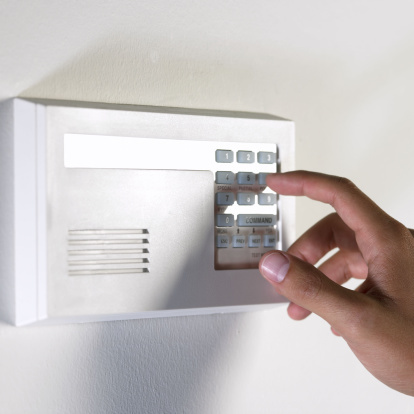 Check that the door is closed and sealed properly if the alarm light is on and a buzzer is sounding. Examine the sealing gaskets on the doors for any rips and clean off any residue on the gaskets with warm water. Remove some of the food if you've added a large amount of warm food recently, which can raise the temperature inside the freezer and trigger the alarm. Wait for the warm food inside the freezer to cool and the temperature alarm to go dark before adding more warm food to the freezer. Remove food from the freezer if you have more than 3 lbs. 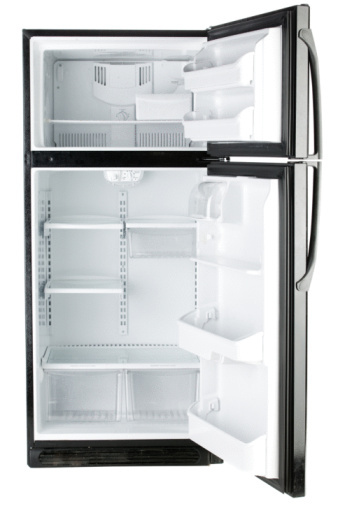 of food per cubic foot of freezer space, which is more than the freezer can handle and results in a temperature alarm. Space out the remaining food in the freezer to enable it to cool down faster. Add more food to the freezer only after you remove some of the already-frozen food. Contact a Sears Service Center (see Resources) if the frostless freezer alarm stays on for an extended time after troubleshooting the appliance. Store the food in another location if the temperature continues to rise.